Has it ever happened to you, so that had no free slots in the inventory? 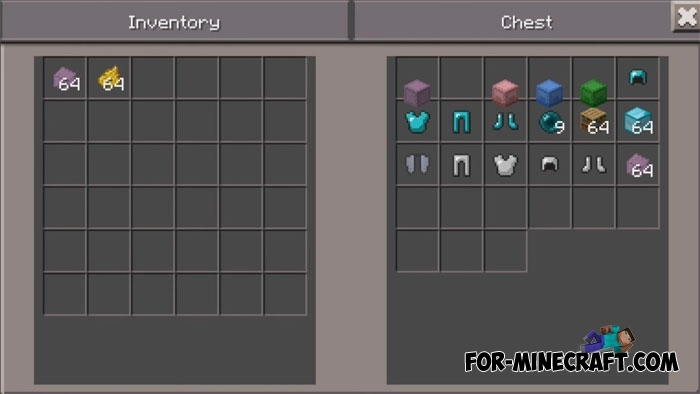 Shulker chest was created specifically for these situations by using which you can increase the number of empty slots in a thousand times. As you may have guessed, Shulker Box mod adds 6 colored magic chests that can store things directly in your inventory. This is quite unusual, because usually the chest can not also store items and be in the player's inventory. How to get the shulker chest? New Chest has a crafting recipe and distinctive appearance. In addition the creator decided to correct the monotony and added the ability to change the color of the chest. Take 6 dyes and tap on it. 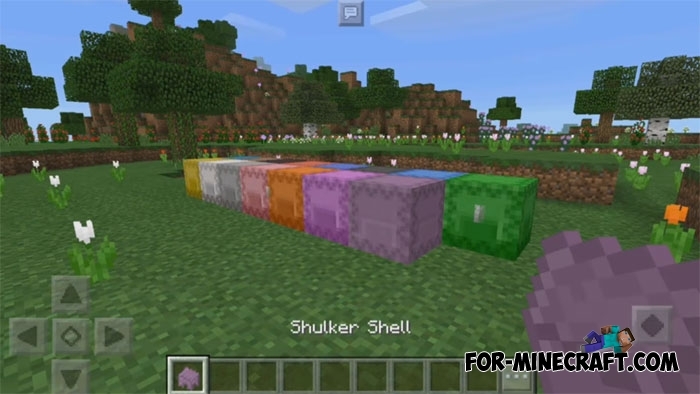 Color does not affect features but does shulker box more individual for everyone. How to use the shulker box? Place the box on the ground and tap on it. Put in any items and break it. Picking up the box you will find it in your inventory. To get things put shulker box to any place. There are some nasty bugs such as position of the chest in the inventory and an ordinary chest lid when opening. But despite this, Shulker Box mod is one more step on the path to the original version of Minecraft. I think many good appreciate this mod.